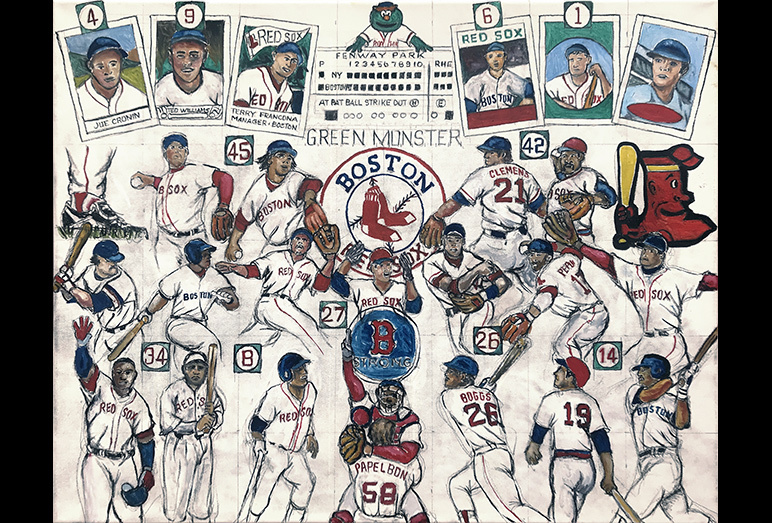 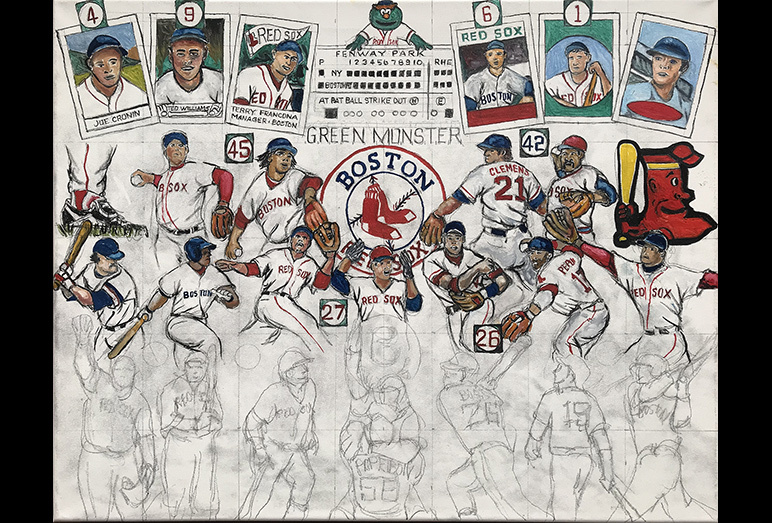 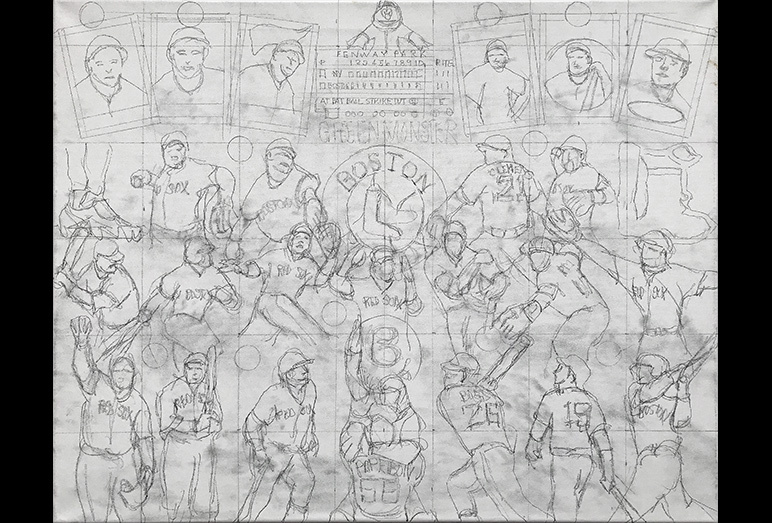 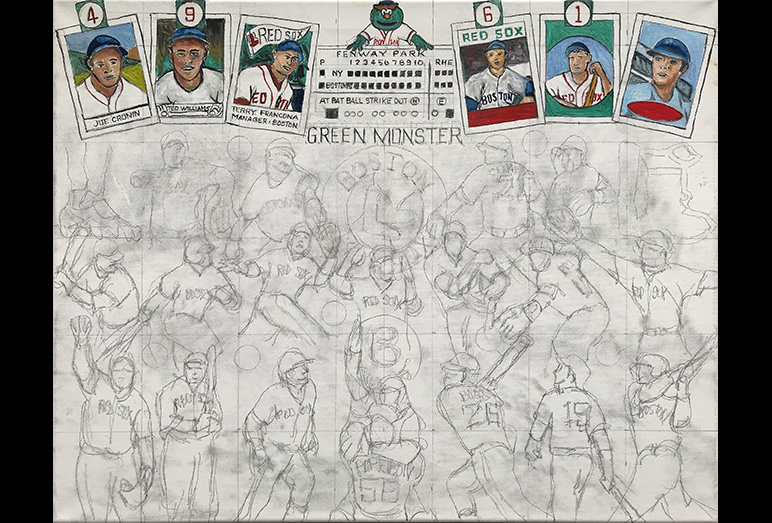 Boston Red Sox Tribute -- Painting Progression -- Use controls to view all images. 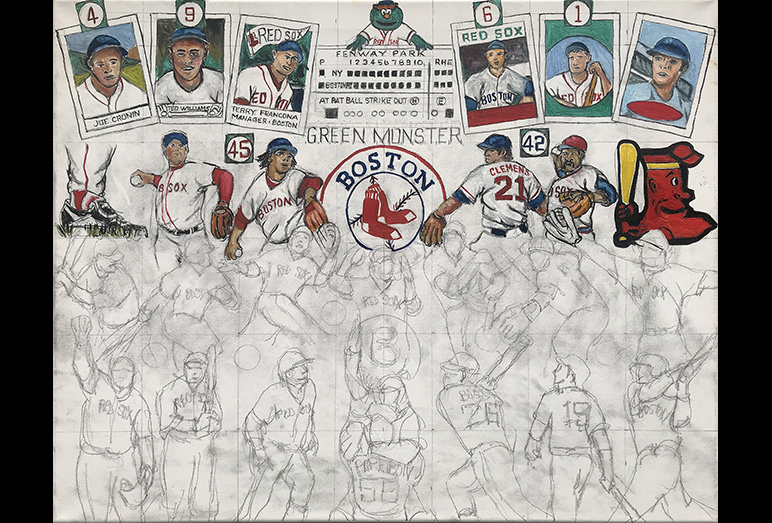 Tom has finished work on an exciting tribute to the 2018 MLB World Series Champion Boston Red Sox. 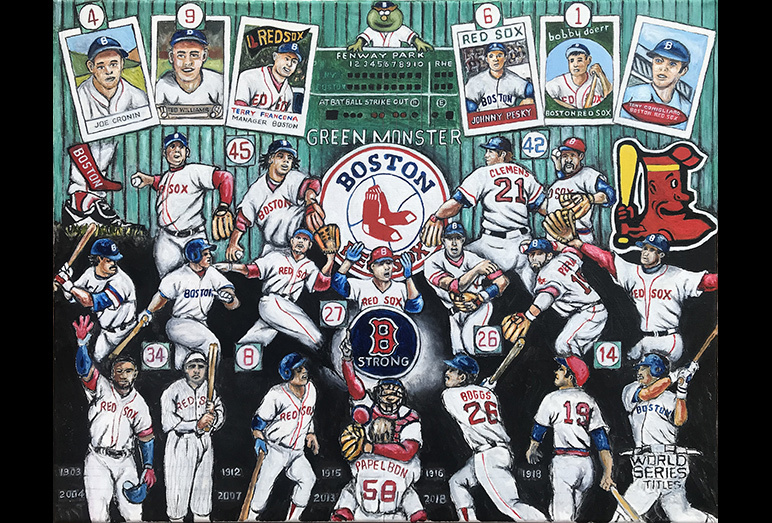 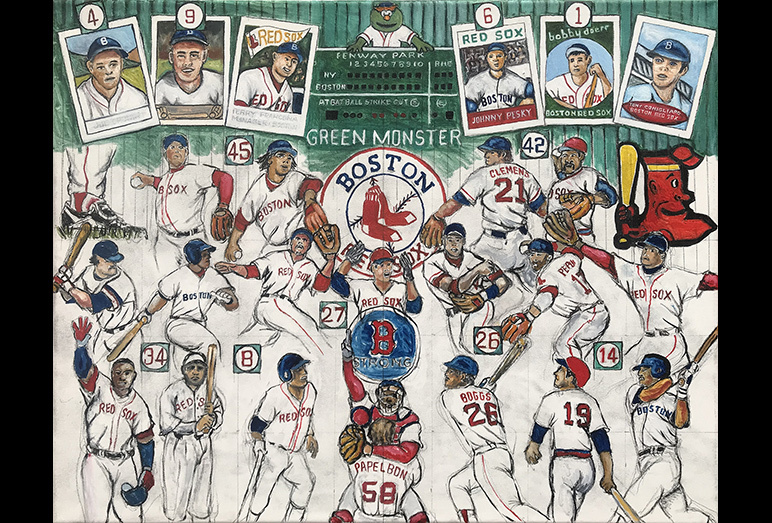 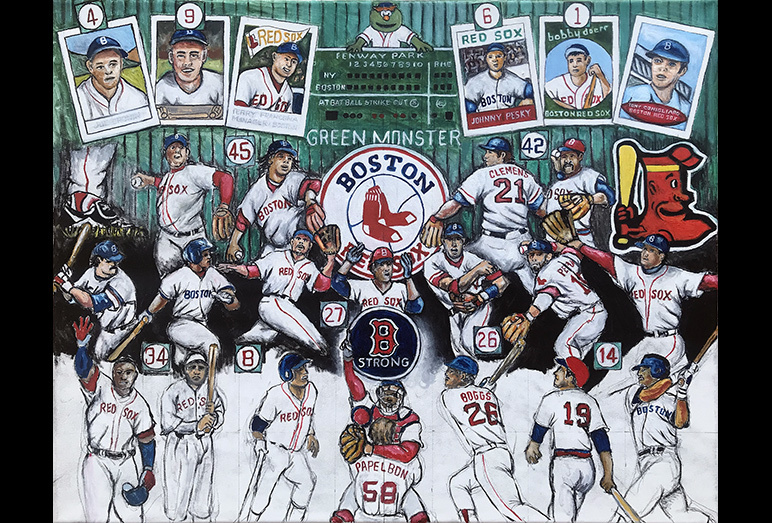 In this Boston Red Sox Tribute painting, Tom included current and former Red Sox players who have won nine World Series championships and have played in 13. 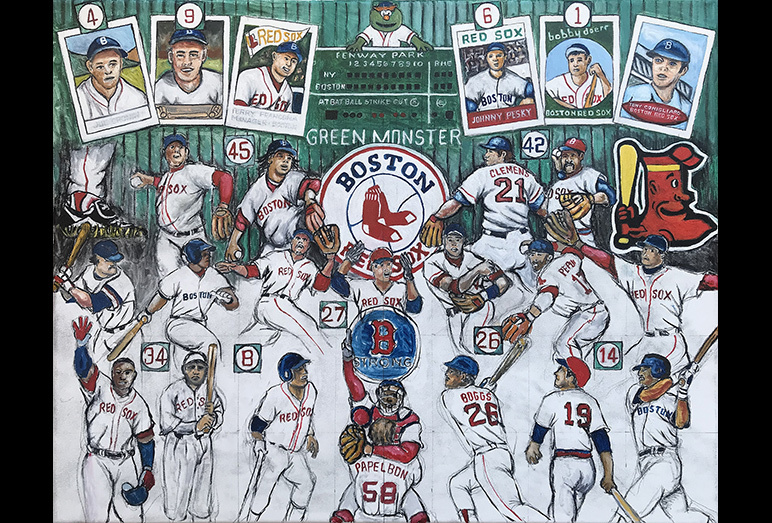 The 2019 Boston Red Sox season will be the 119th season in the team's history, and their 108th season at Fenway Park. 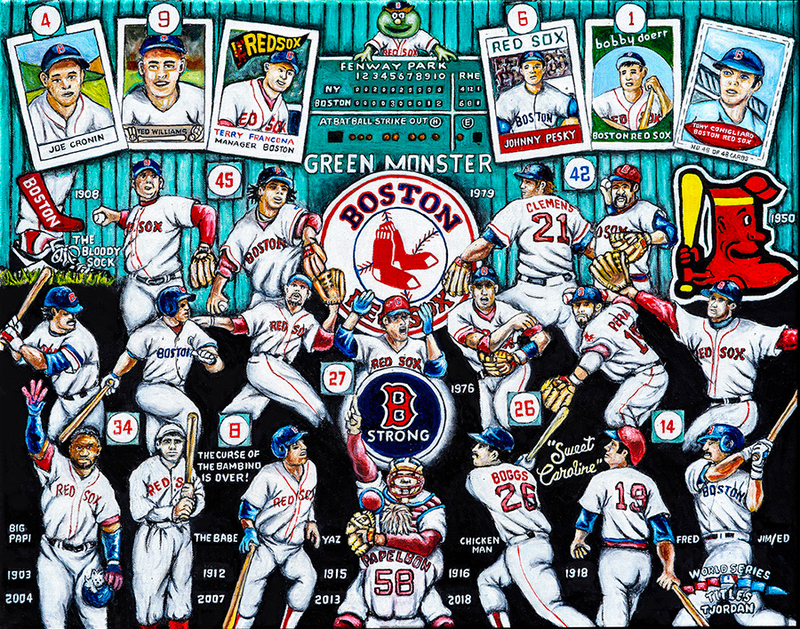 There is a lot to be appreciated and enjoyed by all you Red Sox fans!